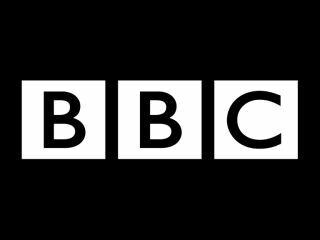 The BBC contributes £2 to the British economy for every £1 spent in licence fee, according to the broadcaster's chief operating officer. BBC COO Caroline Thompson, referring to the latest BBC report into its economic impact, which came up with some interesting figures. "A new report published today seeks to measure this positive economic impact and the results are quite striking," blogged Thompson. "In 2009/10 the BBC contributed well over £8bn (£8,170m) gross value to the UK economy. This is 5.6 per cent higher than the £7.7bn contributed last year. That is well over £2 of economic value for every £1 invested in the licence fee. "To test the robustness of this analysis, we modelled an advertising-funded BBC to find the specific value attributable to the licence fee. "This model estimated net value added at over £5bn (£5,087m), 14.9 per cent above last year's £4.4bn.The report shows we have been spreading the economic benefits further. (The report covers 2009/10 when the licence fee rose by just 2 per cent. The licence fee has since been frozen to 2016/17)." The BBC licence fee has been a huge area of controversy for years, and yet the research underlines that, on top of the huge benefits brought by the broadcaster in terms of quality programming and innovation, there are also financial benefits to having a publicly-funded broadcaster. Thompson also points to the BBC impact outside of its traditional home in London, in particular the big move to a Manchester base. "This evidence signals that our move to Salford Quays in the coming months will help build a more thriving creative sector in the North of England," added Thompson. "And that growth hasn't been to the detriment of London or the South where thanks to BBC Worldwide in particular our increased commercial success has also boosted economic activity and returned profits back into programme making." "If the BBC wasn't supporting and sustaining jobs in Glasgow, Salford, Bristol and London then the British nation would be poorer both in our wallets, and for the quality of programmes we enjoy."